Prakash Bal Joshi began drawing the moment he got hold of a chalk and slate and he drew a zero before writing down the first alphabet. Primarily a self taught artist, he spent a long time working on natural forms and through sheer observation and practice, mastered the finer nuances and subtleties of abstract art forms.Prakash Bal Joshi began drawing the moment he got hold of a chalk and slate and he drew a zero before writing down the first alphabet. Primarily a self taught artist, he spent a long time working on natural forms and through sheer observation and practice, mastered the finer nuances and subtleties of abstract art forms.Prakash Bal Joshi began drawing the moment he got hold of a chalk and slate and he drew a zero before writing down the first alphabet. Primarily a self taught artist, he spent a long time working on natural forms and through sheer observation and practice, mastered the finer nuances and subtleties of abstract art forms. Abstract paintings on canvas, ink-drawings, sketches and contemporary abstract installations by Prakash Bal Joshi, Mumbai-based famous Indian artist, reflect a recurring theme the transient nature of life and the Nature itself. Joshi’s creations, mostly painting abstract art with acrylics and oil, go beyond, what he calls the outer look of various animate and inanimate objects that populate this planet, and try to reveal the layers of subtle nature lying underneath their visual forms. 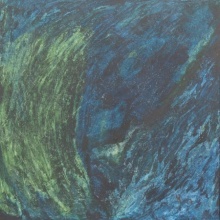 His work forms the major Indian contemporary paintings in abstract form by Indian painter worlwide. Thus the buildings, streets, trees, bushes, lakes, rivers and myriad other objects he paints in abstract contemporary style is based on his impressions, assuming mystical aura about these modern contemporary paintings. His ink or pen-on- paper sketches and drawings portray massive changes in the urban landscape brought on by development that reflect two self-contradictory movements rise in material comforts and fall in values. This is typical concern expressed by Indian contemporary paintings in modern art world. Some of them show in subdued hues human emotions like love and disillusionment while a few others simply convey the complications of human mind through a series of mazes in contemporary acrylic paintings by this renowned and famous Indian artist. They reflect deeper understanding of contemporary life in metropolis. 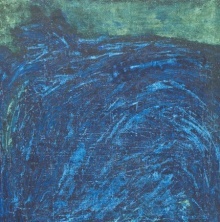 Using oil on canvas, Joshi’s powerful brush strokes bring alive through abstract painting forms the subtle realities that lie behind the outer look of different objects like buildings, streets, trees, bushes, hills, lakes, rivers and the seas with humans and creatures populating these places. “For me, oil painting is a spontaneous process. I let my inner turmoil and the creative response. Its triggers guides my abstract expressions in oil and acrylic on canvas. At the root of all this is the quest who I am, why I am here and where I am going,” he says. Joshi has held solo shows and participated in group exhibitions in India, the U.S and Europe and other parts of the world . He has worked for over three decades as a journalist for many of India’s prestigious newspapers and magazines, including The Times of India, which, he believes, provided him a window to the world. * March 2013 - Pre-view of my work displayed at Izmir at Artistree Art Gallery in Worli. * February 2013 - participated in one of the best known Kala Ghoda Arts Festival -presented Coal Block art installation . surprised to realise many in Mumbai city had not seen actual coal in their life time. good response.- participated in Whats Up Andheri show in February end. * Participation in Whasup – art festival at Lokhandwala complex,Andheri ,Mumbai . Art installation Mumbai Facebook 2012 depicting how people living in metropolis like Mumbai become faceless. * Participation in Kala Ghoda Arts Festival 2012, Mumbai – hanging installation of a HandCart As a symbol of human endeavor . * Solo show hosted by Leela Kempanski , Bangalore in June 2011 on the occasion of the International Environment Day . Launched by grand daughter of Mahatma Gandhi Sumitra Gandhi Kulkarni. * A group of authors, photographers and artists undertake to record life in Dharavi- the biggest slum in Asia in central Mumbai. The slum will be demolished to make way for high-rise towers. * PBJ's art work exhibited at the Kalaghoda festival Mumbai -2010. * Online exhibition World Water Day 2009 recorded on the UN website along with important events of the Day. * Two-week solo exhibition "subtle changes". 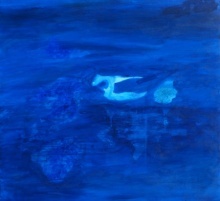 Series of contemporary art painting on canvas were presented at the Indiaart gallery Pune 2009. * Art auction for Children of Malavai.Auction conducted by noted curator Erik Throstvedt Norway - 20009. His contemporary oil on canvas work was sold. * "Subtle Changes" solo exhibition of modern art work depicting impact of climatic changes on environment as well as human behaviour. Exhibition Kitabmahal was launched by artist Nawaz Singhania while personal website published by Maharashtra Governor S.C.Jamir 2008.